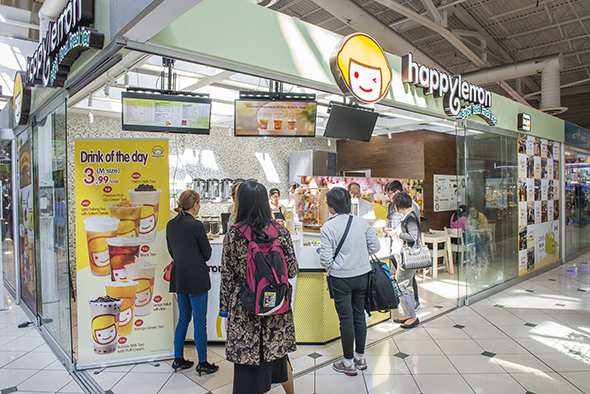 Happy Lemon might just be the city's most cheerful-sounding bubble tea store. 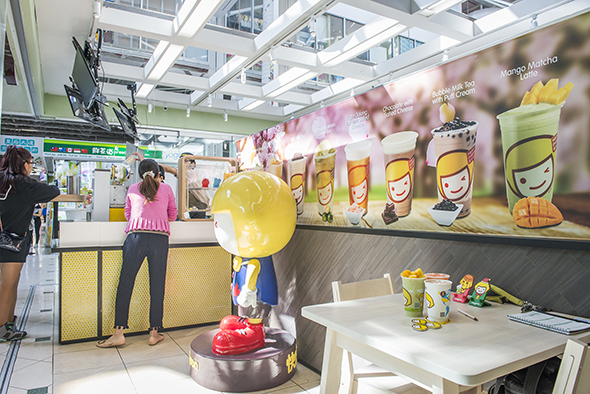 Found on the ground floor of Pacific Mall, this is the first Toronto store of a large bubble tea chain hailing from Shanghai. I seriously can't help but smile at how damn adorable everything looks like. Vibrant colours and bright lighting, along with a cute mascot statue adorn this little space, making the whole store seem more spacious. A small sign identifies this store as number 992 worldwide, an indication of the chain's massive reach. 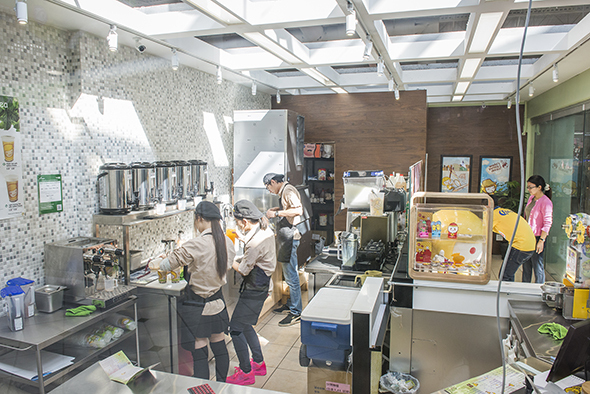 The menu is full of teas and other beverages made using fresh and natural ingredients. The chain is definitely more health-oriented than most of its counterparts, to be sure. The Grapefruit and Yakult Green Tea ($5.20) is one of my personal favourites. The sourness of the grapefruit pairs nicely with the sweetness of the Yakult . 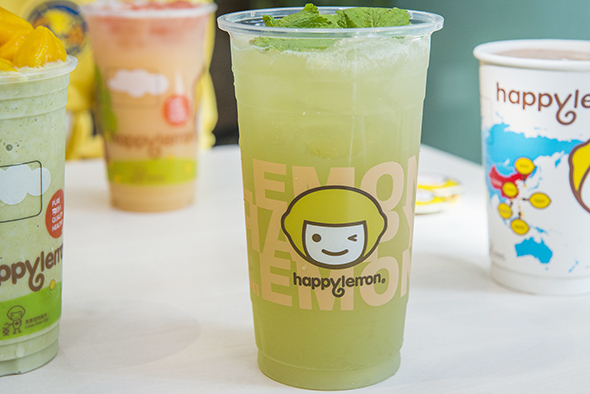 I also enjoy the Lemon Mojito Green Tea ($5.99). It's very refreshing, and the light sweetness of the tea is elevated by the mint. Fantastic for a warm day, or when you're just thirsty after a few hours shopping here. 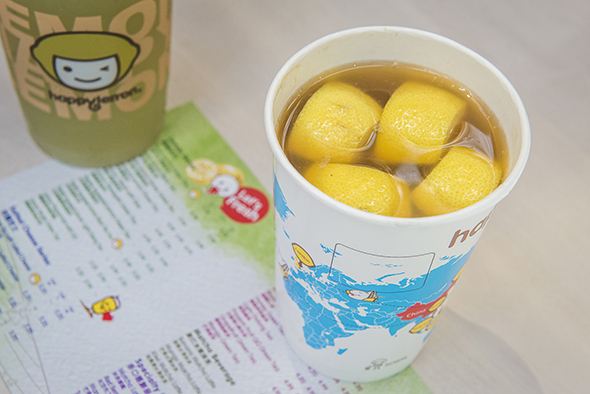 For something soothing and simple, the Freshly Squeezed Lemon Black Tea ($5.20) is a good option. A cut up whole lemon gets tossed into this warm tea, creating a drink that would be perfect for cooler weather or for when you're not feeling so great. 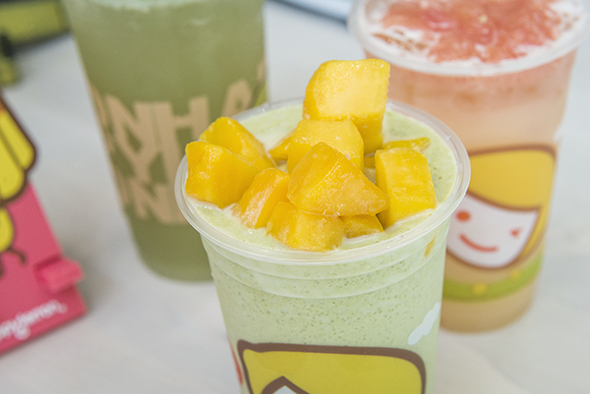 The Mango Matcha Latte ($5.99) has two bold flavours that compete with each other. It's a bit strong for my liking, but I can see this being a hit for many people who prefer a good jolt of flavour in their drink. 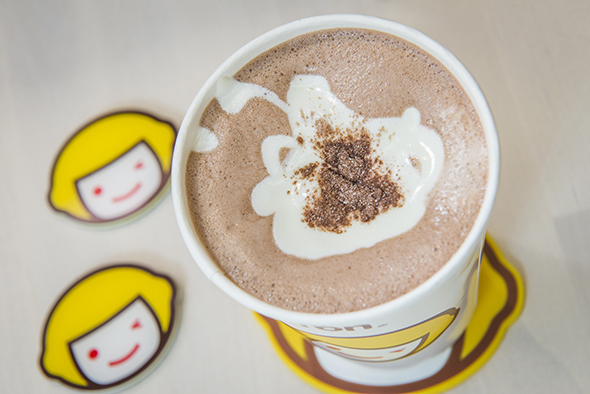 The Chocolate with Salted Cheese ($5.20) isn't for everyone. It can be a bit off-putting to have a cheesy taste (seasoned with special Japanese pink rock salt) in your tea but I thoroughly enjoyed the unorthodox combination. Posted by Darren "DKLo" Susilo. When not writing for blogTO he can usually be found tweeting here or delaying mealtimes everywhere by posting pictures here . Photos by Hector Vasquez.